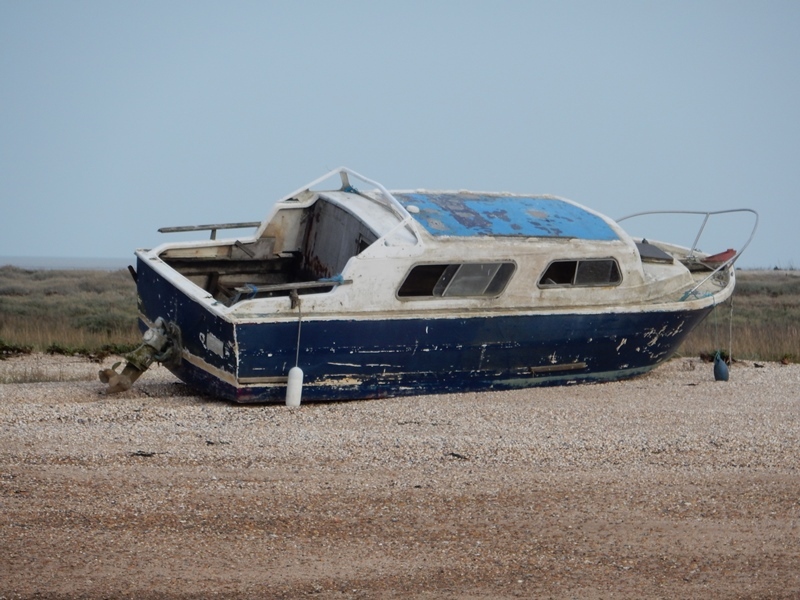 Kevin Duvall of Kent Wildlife Trust has contacted the MSBA because no-one else was able to help trace this boat. 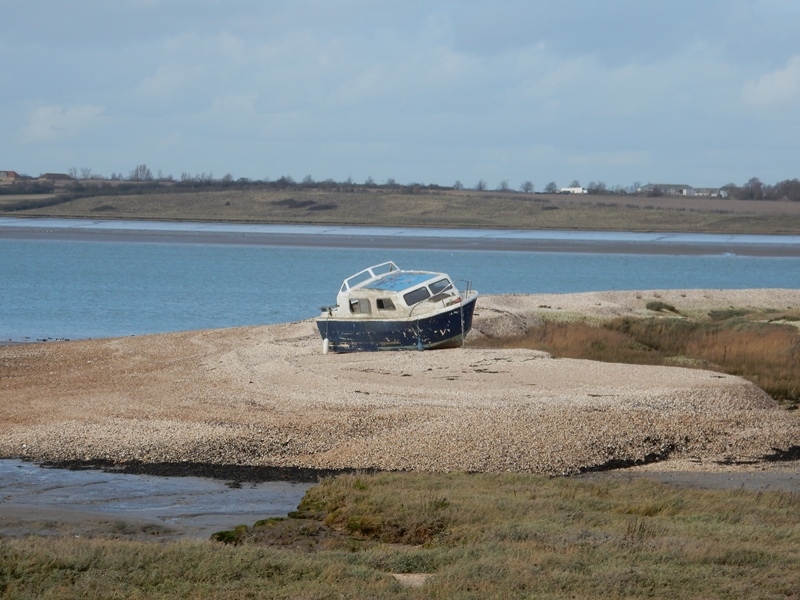 For several weeks a blue cabin cruiser has been stranded on the shingle bank at Castle Coote between Whitstable and Faversham. There are no identification marks on the boat to enable tracing of the owner. Worryingly, it is very close to a nesting site for little terns, a bird almost extinct as a breeding species in Kent. If you have any information please email info@msba.org.uk and we will pass it on. This entry was posted in Environment, Motor cruising, Swale, Wildlife by admiral. Bookmark the permalink.